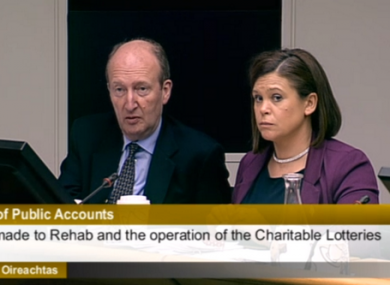 TDS AND SENATORS on the Oireachtas Health Committee have said it is “totally unacceptable” that they are being prevented from scrutinising charities’ spending of over €3.25 billion of public money because of an ongoing Public Accounts Committee (PAC) investigation. It comes on foot of the Health Committee being thwarted in its attempts to examine how around 2,600 charitable and other organisations (section 38 and 39s) in receipt of a total of €3.25 billion of funding are spending the money and providing services. The committee’s attempts to speak to the Health Service Executive about a report it had compiled on the spending in April were halted after legal advice which said the PAC was “seized” of the issue. In a letter to the Dáil Ceann Comhairle Seán Barrett, committee chair Jerry Buttimer writes that when members were told of this they “were unanimously of the view that this situation is totally unacceptable” and that the current rules are “overly restrictive and prevents the Joint Committee in examining an issue which quite clearly it should be scrutinising”. The investigation by the Public Accounts Committee into section 38 and 39 organisations has uncovered controversial details about how organisations like the Central Remedial Clinic and the Rehab Group spend public money on salaries. In the letter sent on 22 May, Buttimer writes that his committee does not wish to curtail the “excellent” work of the PAC but is “strongly of the view” that the current rules need to be changed. He has asks the Ceann Comhairle, as chairman of the Committee on Procedures and Privileges, to look at amending the ‘orders of reference’ to allow the Helath Committee to, in his words, “scrutinise the services that these organisations are providing”. “The issue is not only about expenditure, but importantly it’s also about the provisions of services,” Buttimer writes. Email “'Totally unacceptable': Concern that PAC has monopoly on probe into spending of €3.25bn”. Feedback on “'Totally unacceptable': Concern that PAC has monopoly on probe into spending of €3.25bn”.